You can think of this Irish punch recipe as an amplified hot toddy designed to serve a small party. It is delicious, easy, and a great drink for all of your winter entertaining needs. The Irish punch pairs Bushmills Irish Whiskey with Drambuie. These form the base on which a little sweet and sour are added and it is all warmed up to create a fun, aromatic brew that all of your guests will love. In a medium-sized pot on the stove, combine all of the ingredients. Over medium heat, warm the mixture, stirring regularly. It should take just 10 minutes or so, but you can turn down the heat to let it brew longer (the flavor gets better with time). Transfer to a large heatproof punch bowl. Serve in coffee mugs or Irish coffee glasses, garnishing each drink with shaved nutmeg. There are 8 ounces in 1 cup, which can make measuring the whiskey easier. A standard "fifth" (750ml bottle) holds about 3 1/4 cups (almost 26 ounces), so one bottle is more than enough and will leave plenty to mix up other Irish whiskey cocktails. If you're using a punch bowl, make sure it's heat resistant so the glass doesn't crack. This punch can also easily be heated in a slow cooker and left on low heat so it stays nice and warm. This is particularly nice if you add extra spices because it will fill your home with a warm and inviting aroma. Sour mix is very easy to make at home because it's essentially a lemon-lime flavored simple syrup. Dissolve 1 cup of sugar into 1 cup of boiling water, reduce heat and simmer for 5 minutes. Remove it from the heat and stir in 1 cup each of lemon and lime juices, then let it cool before bottling. While the recipe, as written, was designed to serve six 4-ounce servings, it can easily be doubled or tripled to fit any size crowd. Keep the ingredients in proportion as you increase the volume. Instead of sour mix, use 2 ounces​ lemon juice and 2 ounces​ simple syrup in the punch. Add a few clove-studded orange slices and cinnamon sticks to the bowl for a little extra flavor and aroma. Both make excellent garnish options as well. 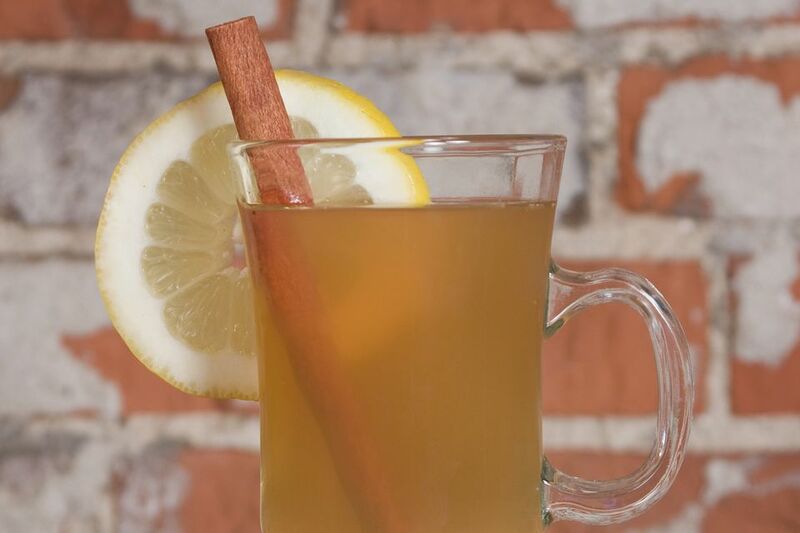 You can add even more flavor by tossing a sachet of mulling spices into the punch as it warms. How Strong Is an Irish Punch? Both of the punch's liquors are bottled at 80 proof, which would make you think that it's going to be a strong punch. Yet, all of the nonalcoholic ingredients bring it down to a very mild 14 percent ABV (28 proof). It's just a little more potent than a glass of wine. Bushmills or Jameson... How Will You Take Your Whiskey Ginger?